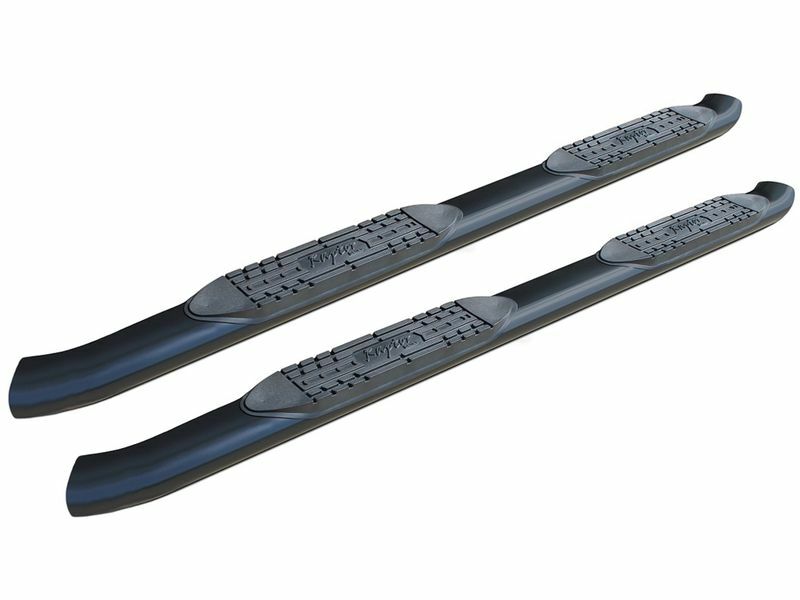 Get the Raptor 5" curved oval black nerf bars for your truck or SUV today! No longer shudder at the thought of almost slipping as you get into your cab. Step safely and securely with these 5" nerf bars. They also support up to 500 pounds, so no need to worry about them bending or breaking. Constructed from durable steel, each step bar is coated in a black powder-coat finish. Each pair of boards utilizes secure 5" wide stepping pads to help get you in and out of your ride safely. Designed with 30° OE style bends, the Raptor curved nerf bars truly stand out from the rest. Raptor 5" curved black oval nerf bars are backed by a ten year warranty. Also no need to worry about a long installation process as you can install a set of these right from your own home. What are you waiting for? Order your Raptor nerf bars today! Install the Raptor 5" nerf bars right in your own garage! No need for fancy tools. Need help? Give us a call at 877-216-5446.